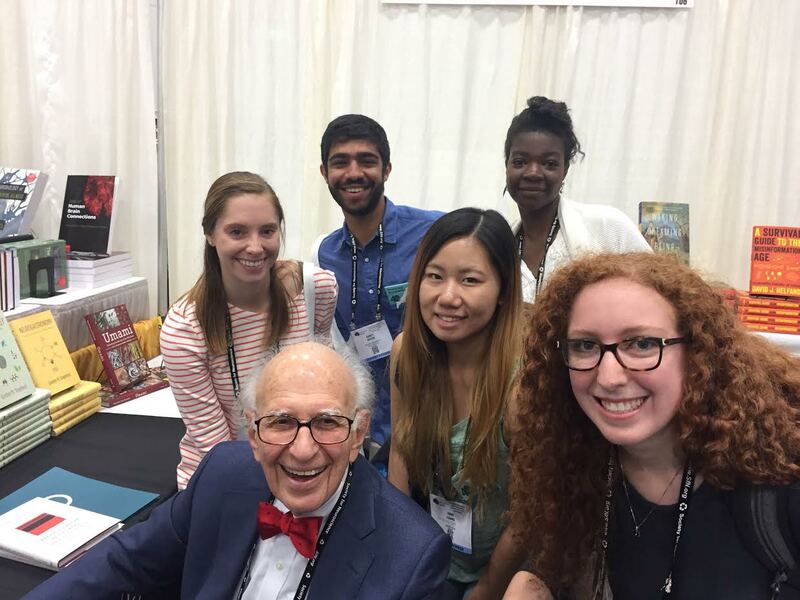 NSGP First-Years Kathryn Russo, Aarit Ahuja, Belinda Bahama, Lauren Fish, and Jing Liang enjoy their trip to SfN in San Diego at a book signing with Nobel Prize winner and neuroscience legend Eric Kandel! June 9, 2016 David Sheinberg Ph.D. The Grad program is proud to announce that three of our students – Diana Burk, Erica Grodin and Torrey Truszkowski – were inducted into the Brown Sigma Xi chapter earlier this spring. Congratulations! January 27, 2016 David Sheinberg Ph.D.
First year graduate students in the Neuroscience graduate programs have just finished 8 days in the NeuroPracticum course at MBL (Woods Hole, MA). This “at the bench” course provides a hands-on and in-depth opportunity for students to learn essential techniques for electrophysiology, molecular biology, imaging, and behavioral analysis. The NeuroPracticum course allows students to have intense and practical experience at the bench with fundamental techniques that are the basis of modern neuroscience,- working side by side with professors who are expert in the techniques and systems. This intense experience integrates the practical with the theoretical; students understand both the strengths and limitations of techniques discussed in the classroom only when they use them. Teaching Assistants in the course are often 3rd/4th year students. Other advanced students run independent experiments at MBL during NeuroPracticum, further refining their skills in experimental design. This intense course creates remarkable bonding among the students and faculty. 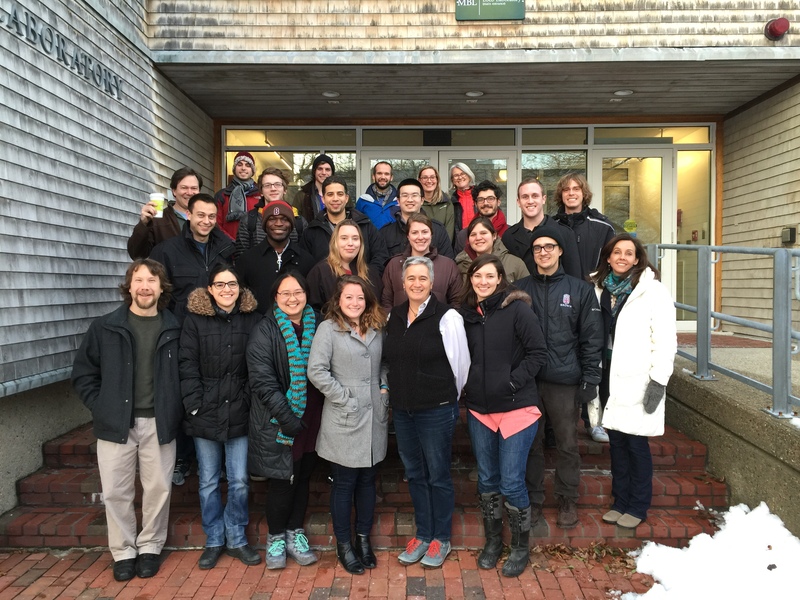 November 16, 2015 David Sheinberg Ph.D.
At the Woods Hole Marine Biology Laboratories on Nov 2 – Nov 5, 2015, Brown and the National Institutes of Health held their third scientific retreat celebrating the ongoing Graduate Partnership Program (GPP). 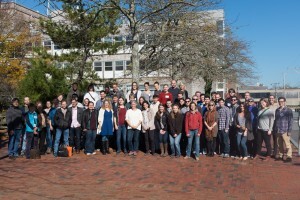 Student and faculty speakers from Brown and the NIH presented their work in both talks and posters, sharing the latest news from across the program. June 19, 2015 David Sheinberg Ph.D.
NSGP 4th year student Torrey Truszkowski joined other junior researchers in Washington as part of “Hill Day” earlier this month. She met with RI Sen. Jack Reed and Rep Jim Langevin to advocate for increased funding for biomedical research. Read more here. April 14, 2015 David Sheinberg Ph.D. The Neuroscience graduate program is proud to announce that Gabriela Manzano-Nieves and Valerie Estela have both been awarded NSF Fellowships for 2015 and that Haley Goodwill and Robyn St. Laurent have received Honorable Mentions. More information about the NSF program can be found here. Congratulations to all of you! 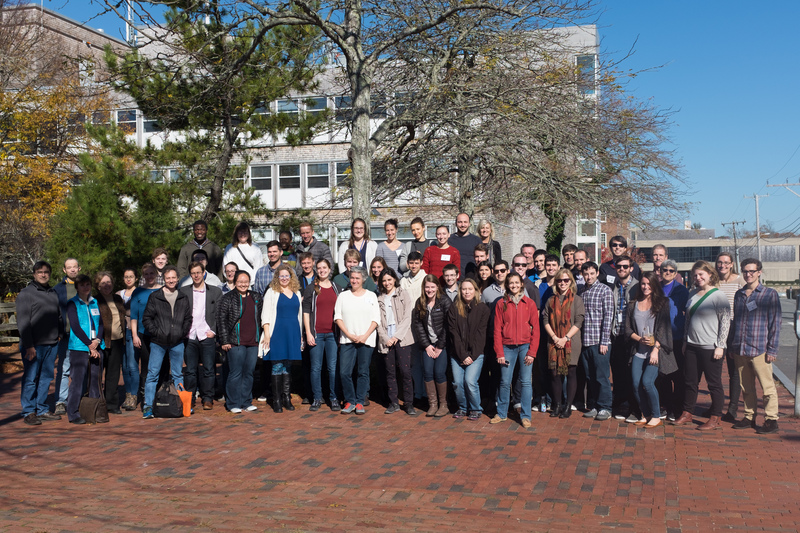 Eric James wins New England Science Symposium Poster Prize! On Saturday, April 11, Eric James (NSGP 4th year in the Aizenman Lab) was awarded the Beth Israel Deaconess Medical Center Department of Neonatology Award at New England Science Symposium at Harvard Medical School for his poster presentation on the potential role of HDACi activity in the onset of VPA-induced neurodevelopmental disorders. Click here for more information on the awards. Congratulations Eric!